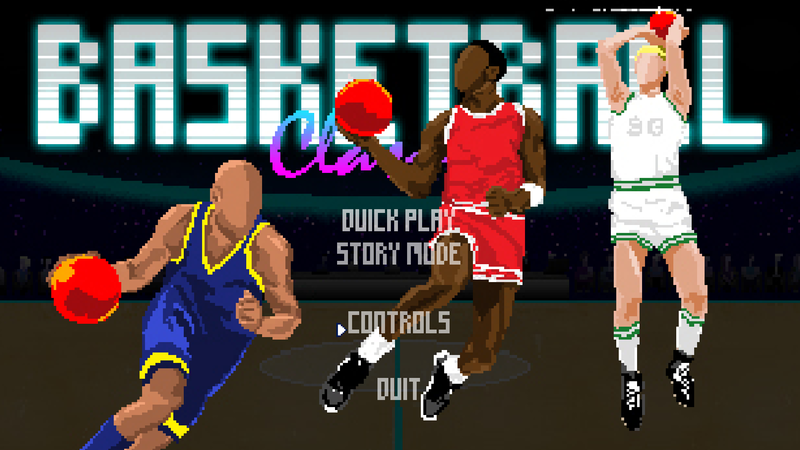 For those who are unaware - I certainly was until R4z0R gave me a heads up about it - a game called Basketball Classics by indie developer Namo Gamo is now available on Steam Early Access. 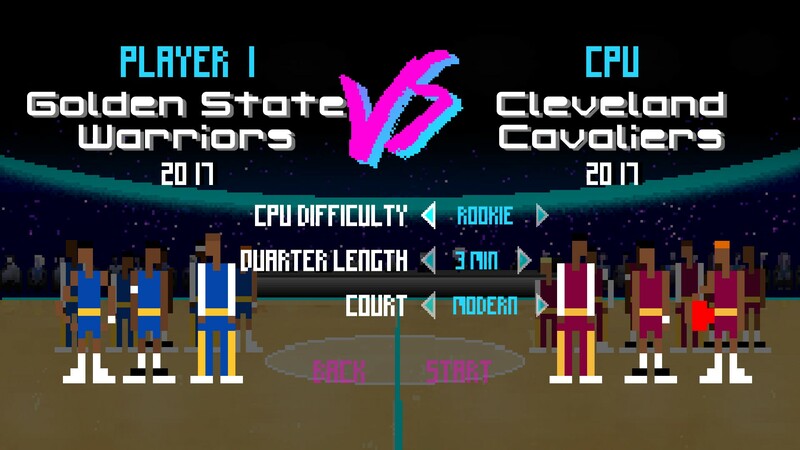 It's basically a throwback to the 8-bit era of basketball gaming, with simple controls and a casual approach to five-on-five gameplay. It isn't licensed so the teams and players are fictional, but they're standing in for recognisable squads, past and present. I've only played it a little bit so far, but I'm really impressed. It's a really fun throwback to those old games, while also benefiting from modern concepts and game design. It's obviously not a replacement for NBA Live or NBA 2K, just a game that's simple and nostalgic. 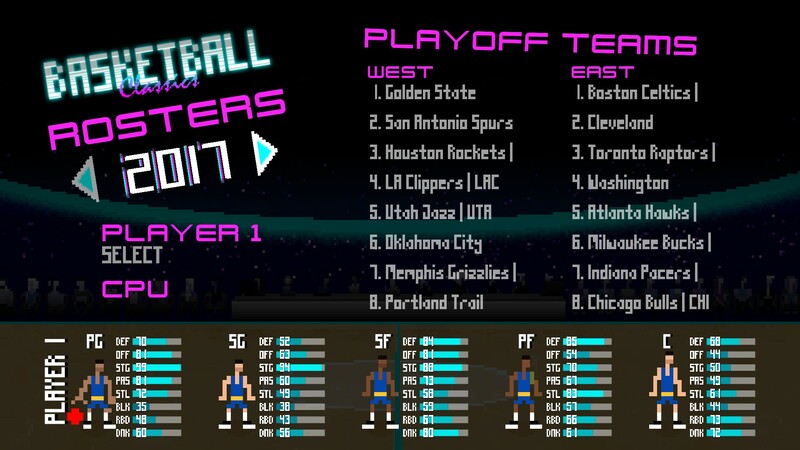 We've seen a lot of indie developers take that approach with other genres, so it's cool to see the concept applied to basketball gaming as well. I thought I'd create a topic to discuss it, because I do feel it's worth checking out, and I'm sure I'll produce a few features on it moving forward. Nifty idea, and quite fun. Even in Early Access, it's feeling very polished. I'd recommend checking it out, if that kind of retro experience appeals to you. I just checked it out, havn't bought it yet. Clearly they are using the likeness of Red Auerbach, Dr. J, Jordan etc. Which is really cool, just hope they don't get in trouble for it. 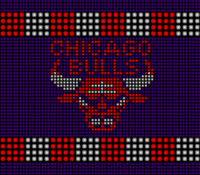 I dig the big court, small players, and NES type graphics. 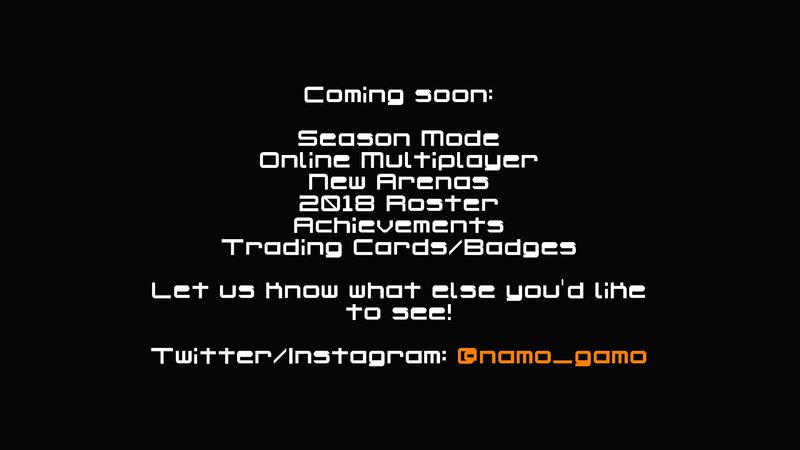 Looks like they have a season mode as well, maybe I'll pick it up and do a video or two on it. No problem. I too hope they don't run into any legal issues, as they might be pushing the boundaries of parody and fair use. Nevertheless, even if they have to make some changes, it's a great concept. I tried changing the names of the teams and they're showing up ingame, in the picking screen it cuts off, cause there's a limited amount of characters, but everywhere else it's ready to go. R4zoR wrote: I tried changing the names of the teams and they're showing up ingame, in the picking screen it cuts off, cause there's a limited amount of characters, but everywhere else it's ready to go. How do you like the game overall? For me its pretty good, especially when i don't have that much free time at the moment, just to get some games in and mess around with all the different players. Some problems i had was the AI passes out the ball so much during shots, it feels like a 2k game online or something sometimes lol. And some teams are insanely hard to beat even on rookie, like i was playing 1998 Bulls vs 1998 Jazz and Jazz were so overpowered, like Ostertag was blocking everything, even when MJ was trying to dunk with the button mash advantage, still was getting blocked. But overall, its a fun experience. Cool to see some potential for modding! I've noticed players passing out of shots a little too much as well. I think that's something that could be tweaked, especially since it's still in Early Access. I know that Namo Gamo are interested in feedback like that, so we should definitely compile some constructive suggestions to help v1.0 be as good as it can be. As I said though, there is a remarkable amount of polish already. The Story mode is an interesting idea and has some nifty presentation, though I think a straightforward season or Playoffs mode would be great. Andrew wrote: Cool to see some potential for modding! It doesn't have a season mode? Not as yet, no. There is a Story mode where you unlock the stand-in historical players. Dunno if we can import stuff back yet, but i managed to get some of the files opened with one of the extractors. Edit: We can actually mod the game! Good stuff! That'll potentially be some extra fun on top of the retro gameplay experience. Thanks for the info, I may hold off until they place a season mode in the game... if they do that at all. So i managed to beat the game's story mode, last level was absolutely insane, had to literally set the quarters to 1 min and hope to god they don't make anything. I haven't finished it yet, but it's cool to see those plans. I'm really feeling optimistic about the game. R4zoR wrote: So i managed to beat the game's story mode, last level was absolutely insane, had to literally set the quarters to 1 min and hope to god they don't make anything. Once season mode is added, ill buy the game. That's fair enough, though I'm not sure what the timetable will be on that, and the game is currently cheaper as it's in Early Access, so it's a good opportunity to get in on the ground floor at a good price. Ultimately your call of course, but I personally didn't mind taking a chance on it for less than ten bucks, knowing that it's a work in progress. So i wanted to share this for quite some time, just never had the chance to do it properly, but here it is. A tutorial video on how to access the files from the game itself, to change it to your liking. 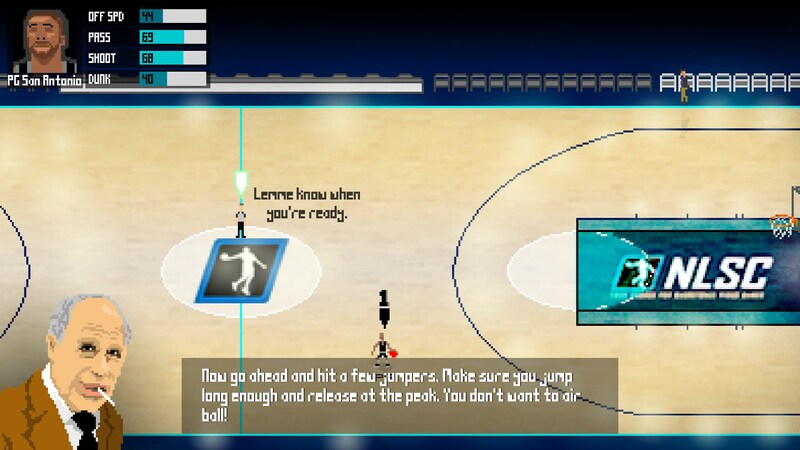 I show in this video tutorial how to edit the courts and talking about the other files aswell, so if you have a certain idea and wanna make it, you can now do it on your own.